I wonder how the neighbours felt about this? I just love it. 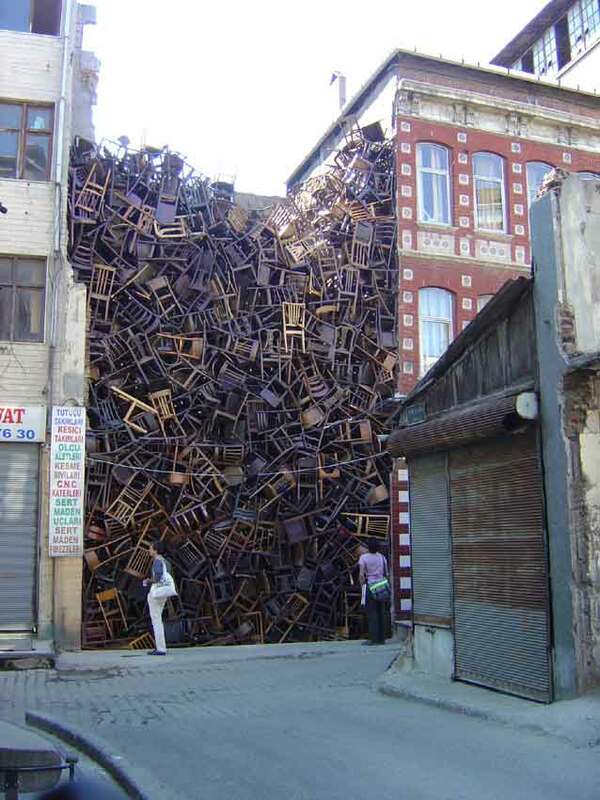 Art installation by Doris Salcedo. Doris Salcedo on the importance of memory. Hope you enjoyed your Chilly Monday. Previous postA House Made Of Love and Sugar.